Lisa McGrath knew she didn't need much money to start her natural pet-products store, but the $3,000 she had doggedly saved just wasn't going to cut it. So in April 2011, the San Antonio-based entrepreneur applied for a microloan from Accion Texas, a nonprofit that provides qualifying startups with loans of $500 to $50,000. By July, McGrath had dug up $12,000, courtesy of Accion's green loan fund for environmentally responsible businesses. 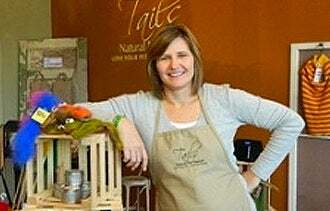 In September, she left her job as a KLRN Public Television executive, and the following month she held the grand opening of her 965-square-foot store, Tails Natural Pet Market. We sat and spoke about the process. Why did you pursue a microloan? I did a little research and determined that it would be very difficult to get a small-business loan through a bank. I knew they were probably looking to offer larger loans to businesses that had been in existence for three to five years. And I didn't want to put something on a credit card. I knew Accion Texas worked specifically to get small businesses up and running, and that they were more willing to help fund startups and women-owned businesses. Did you have a loan amount in mind? I was hoping to get anywhere from $10,000 to $15,000. I knew that would be the amount needed to stock my store and get the existing costs covered, things like deposits for utilities and internet. What are your loan repayment terms? It's a 36-month payoff at $441.15 per month. It's 10.5 percent fixed simple interest--their lowest rate--and I can pay it off early without penalty. How are you using the loan? I paid a security deposit equal to one month's rent and used the rest of the money to build my initial inventory. To keep my costs down, I didn't buy brand-new fixtures and merchandising displays for my shop; I bought things at flea markets and thrift shops, which is the look I was going for anyway. I applied online in late April. That first step was a very nonthreatening one. One of Accion's loan officers got back to me, and we did a lot of talking by phone. The process was actually not easy. They want you to work for it. I had to put together my loan package, including my business plan, and they requested 100 percent collateral. My father, who's elderly and lives with me, had paid off the home we all grew up in, so I ended up using that as collateral. How long was it from loan application to approval? Once I got my paperwork together, it was a fairly quick process. I had to provide copies of previous income tax returns, and they wanted to see the lease agreement I had signed, so I put all the paperwork together and submitted it in June. Then it was within four weeks that they had a decision. They were also there to answer any questions. I really felt like I had someone in my corner. I can't see a regular bank doing this, but the people I worked with are staying in touch, which is kind of that community feel. You really feel like they want to see you succeed. What tips can you offer others seeking a microloan? Talking with other local businesspeople and doing your homework and being very realistic about your expectations is key. You also need to make sure you're aware of your own credit, so get your credit report. It's true what everyone says about how important a business plan is. It helped me build a foundation for everything else that I put together.